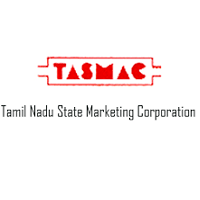 TN TASMAC Recruitment 2018 – Tamil Nadu State Marketing Corporation Limited (TASMAC) Job notifications for 500 posts of Junior Assistant. The detailed eligibility and application process are given in below. Educational Qualification: Must possess a Bachelor’s degree in any discipline or its equivalent degree of any Institution or University recognized by UGC. Age Limit (As on 01/08/2018): Below 57 years. Final selection will be made on the basis of the total marks obtained by the applicants at the Written Examination and by applying the rule of reservation for appointments and subject to Verification of Certificates and Medical Fitness Certificate and other requirements of TASMAC. question type. No negative marks will be awarded for wrong answers. The syllabus of Written Examination is Analytical Reasoning, Quantitative Aptitude, Language Comprehension and General Awareness. All the questions will be set both in Tamil and English and will be of Multiple Choice (objective type). Minimum qualifying marks: 30% in Written Examination. Examination Centre: Chennai, Coimbatore, Madurai, Salem & Trichy. How to apply for TN TASMAC Recruitment 2018 for JA? All interested and eligible candidates can apply for this position in online latest by 14 September 2018. After successfully submitted, send a print out of application form along with required documents to the concerned District Manager Office on or before 20 September 2018.